The next steps in developing sustainable commercial buildings were discussed today at the Green Room Conference. The nearly Zero Energy Building (nZEB) standard came into force in Ireland this year for commercial buildings. But this will not be enough to limit climate warming to 1.5 degrees C as per global commitments. And, investors are putting increasing focus on the sustainability performance of their portfolio. These were some of the key messages of the Green Room conference. Opening the conference Pat Barry, CEO of the Irish Green Building Council said: “The new nZEB standard is a step in the right direction for commercial buildings. But it is not enough to fully decarbonise our built environment. There is still too much leeway in the standards for air-conditioned offices. Besides carbon emissions embodied in the construction of buildings is not regulated at all. These account for 11% of global emissions”. Tonje Værdal Frydenlund, managing director of the internationally renowned Norwegian architects Snøhetta shared her experience of designing energy-positive commercial buildings known as Powerhouses. 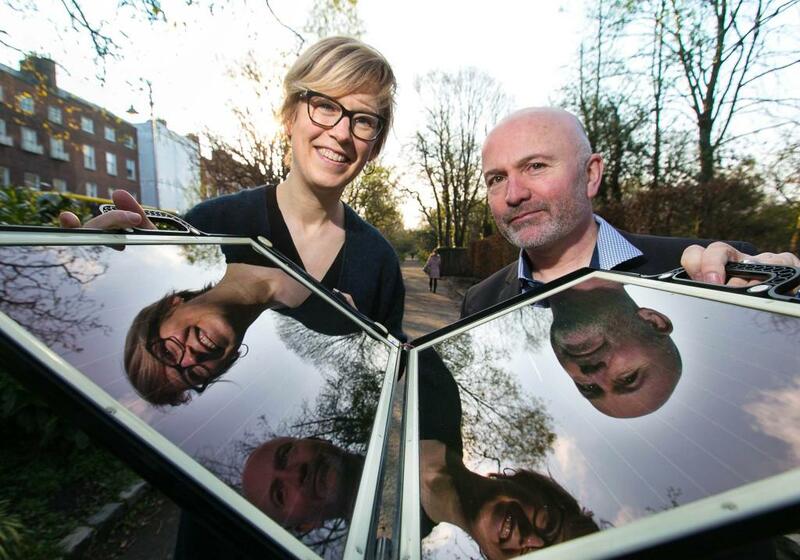 “A Powerhouse building produces more renewable energy that it consumes over the years. The surplus can then be used to power public transport. The energy embodied in the construction is also reduced to the minimum by careful selection of materials. Developing energy-positive buildings presents an exciting challenge that the industry can and should embrace”. Victoria Burrows of the World Green Building Council said: “Buildings are responsible for around 30% of global emissions. Governments such as Scotland and California and cities such as London and Copenhagen have already committed to making all their new developments carbon neutral. The scale of the challenge requires immediate and coordinated efforts by all businesses, governments and cities”. 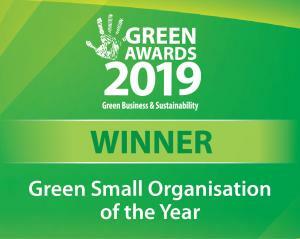 The World Green Building Council is driving an international movement to ensure that all buildings are carbon neutral by 2050. 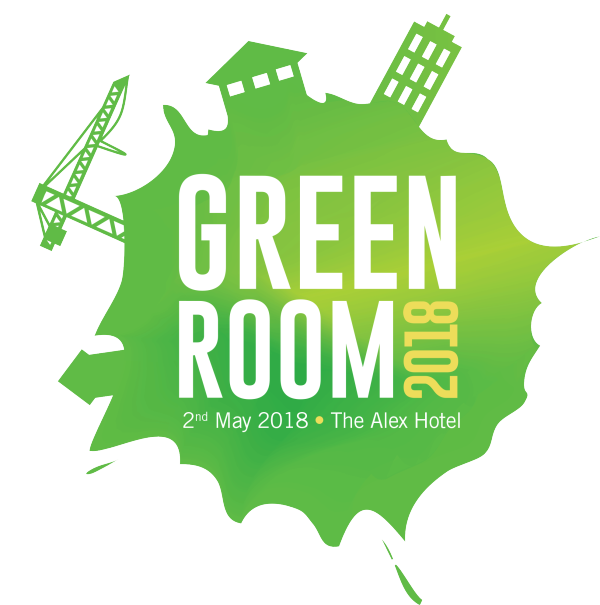 The Green Room is the Irish Green Building Council’s annual commercial buildings conference. 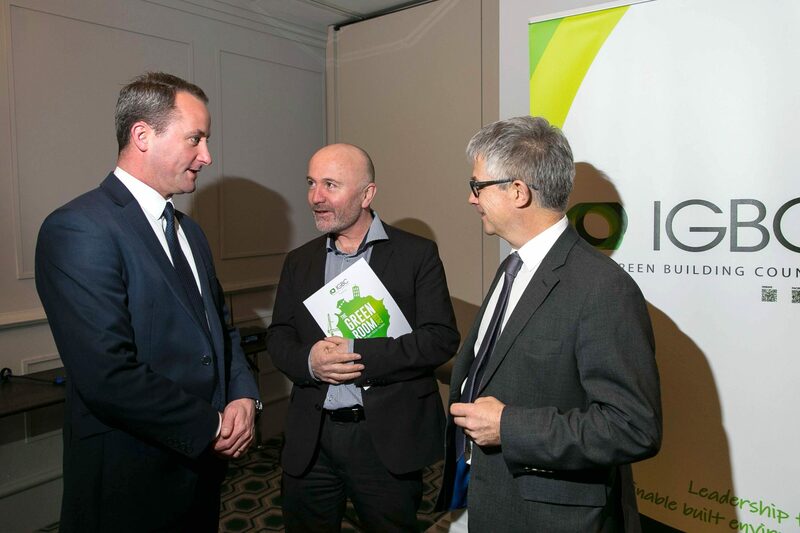 Marcus Dillon, Head of Sustainability, Hibernia REIT, Pat Barry, CEO, Irish Green Building Council and Tony Day, Executive Director, International Energy Research Centre. 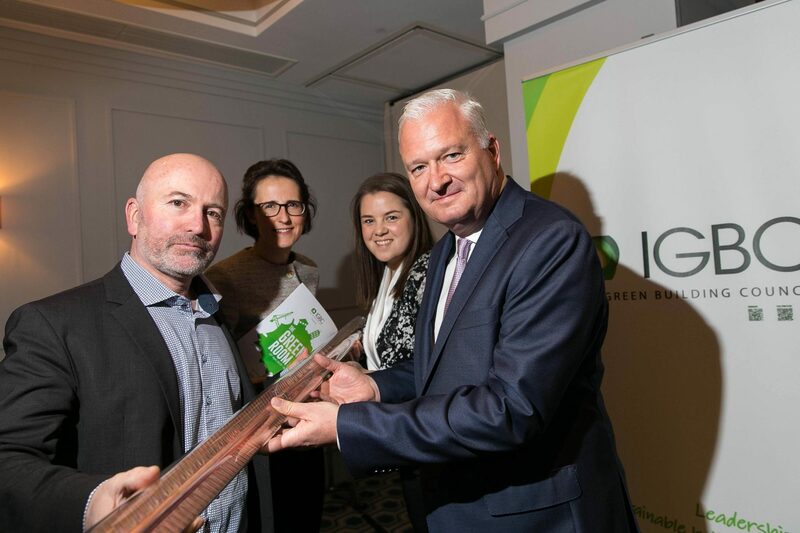 Pat Barry, CEO of the Irish Green Building Council, Caroline Pope, KPMG, Victoria Burrows, World Green Building Council and John Moran, CEO, JLL. The Green Room was back for 2018 with a great turn out on the day. 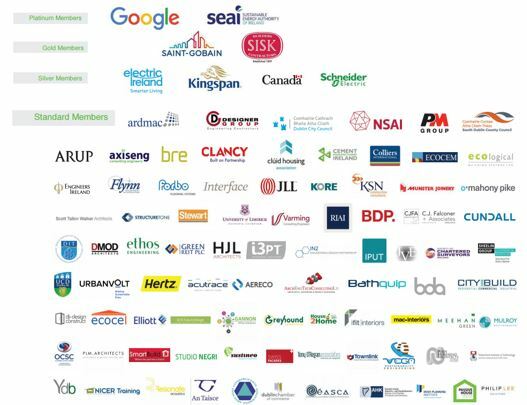 Over 150 building representatives from throughout the industry gathered in Dublin on 2nd May 2018 to learn more about the latest trends nationally and internationally on sustainable non-residential buildings. 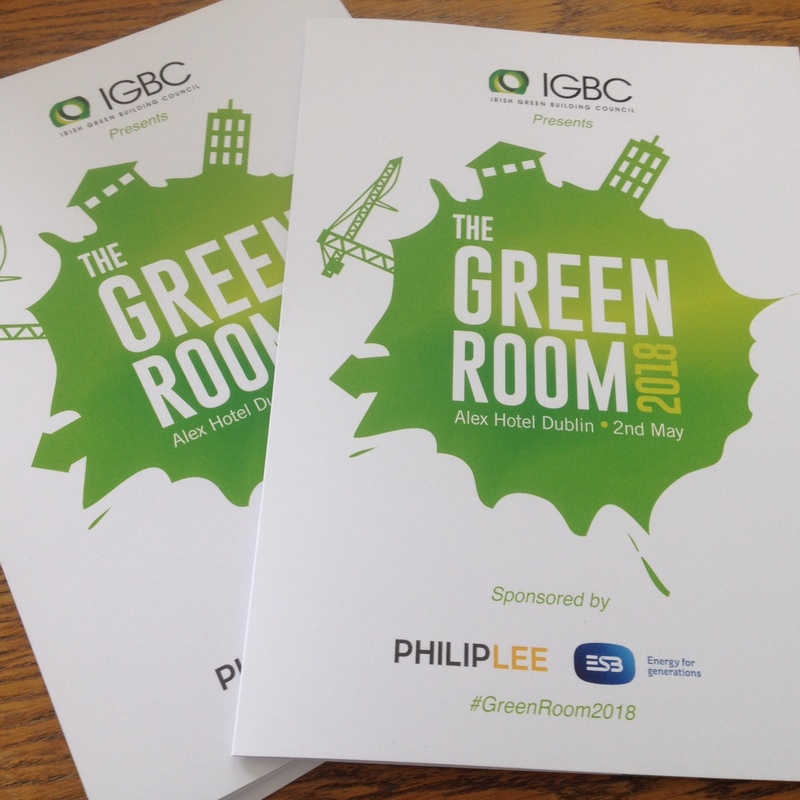 The top trends driving investments in sustainable commercial buildings were discussed today (2.05) at the Irish Green Building Council’s Green Room Conference.